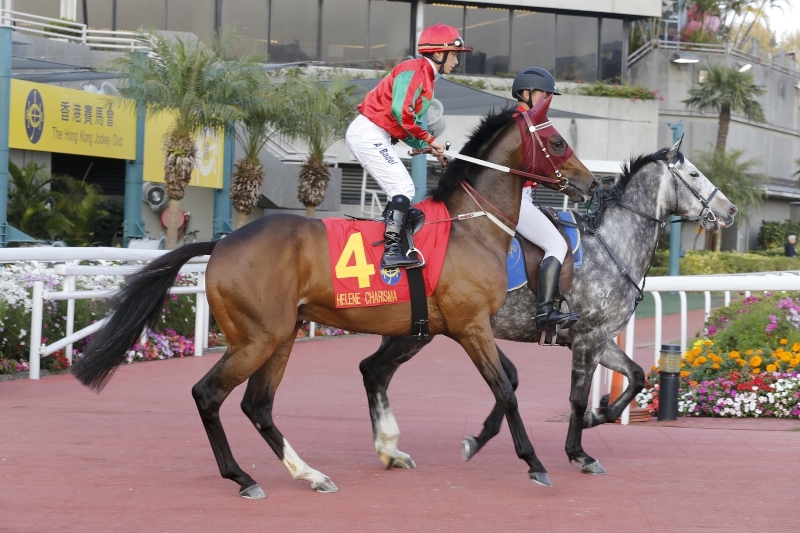 There was a smattering of BMW Hong Kong Derby (2000m) interest at the Sha Tin barrier trials this morning, Tuesday, 17 January. 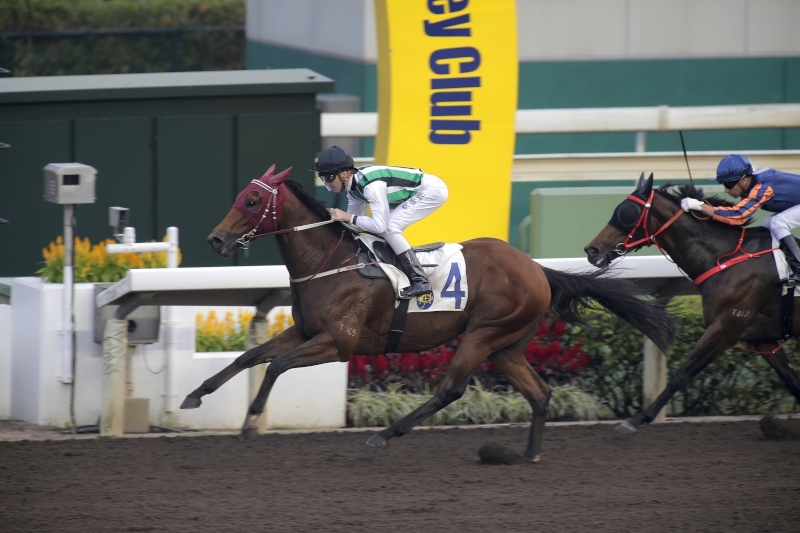 With the major four-year-old feature two months hence, a couple of notable British imports, Beauty Way and Limitless, strode out in the session’s second batch, while Green Energy, Who Dat Singa and the oft-recalcitrant Bullish Glory were also in action. Beauty Way caught the eye under Zac Purton in his 1000m turf trial down the straight. The Shamardal colt, whose dam is a half-sister to the G1 winner Giofra, raced as Gershwin when under the care of David Lanigan in the UK. 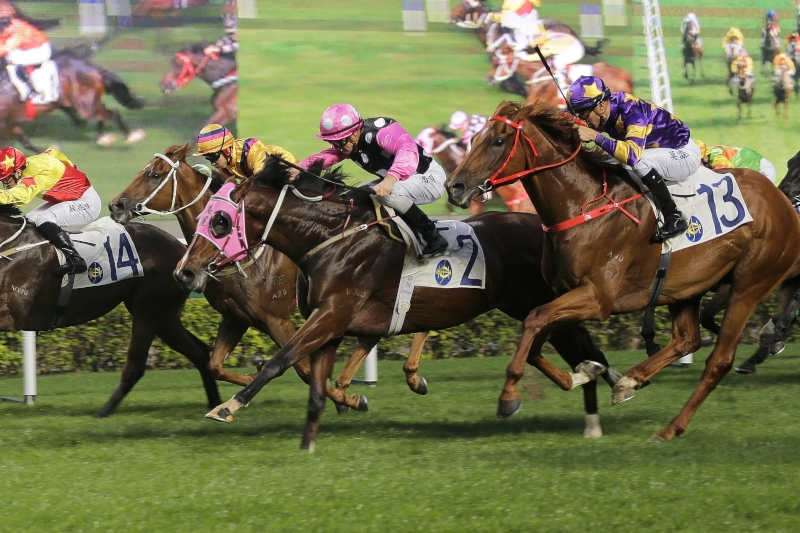 The bay has notched two wins from seven starts to date, at 1600m and 2000m. 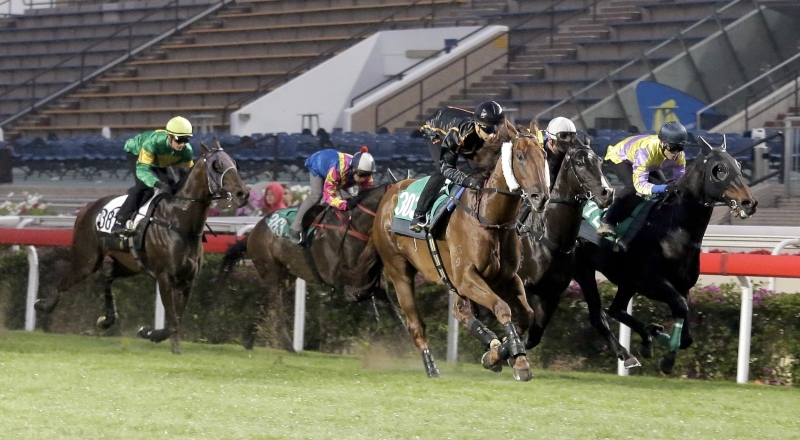 Zac Purton rides Beauty Way (in pink/black) in a barrier trial at Sha Tin this morning. 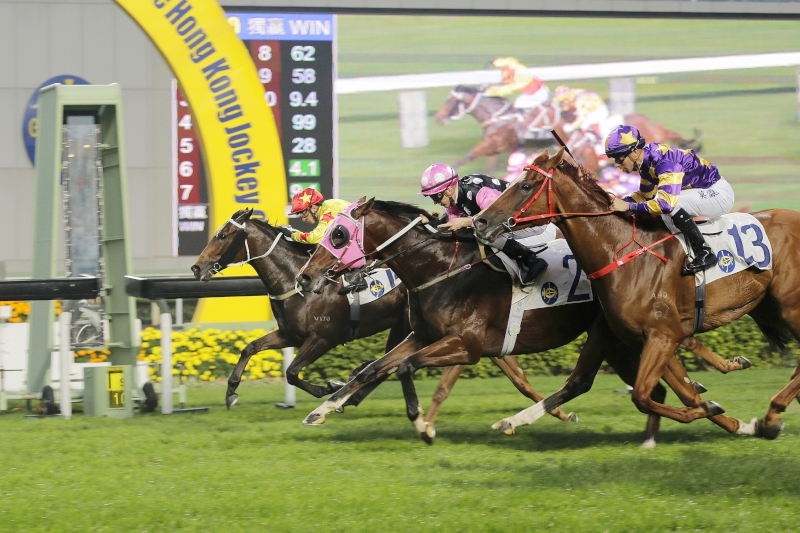 The Hong Kong newcomer has clearly taken improvement from a smart step-out trial in December as he moved smoothly throughout and passed the post first in a compact line of five, a short-head in front of fellow Derby entrant Limitless. The time was 59.34s. “He’s improving all the time,” trainer Tony Cruz said. 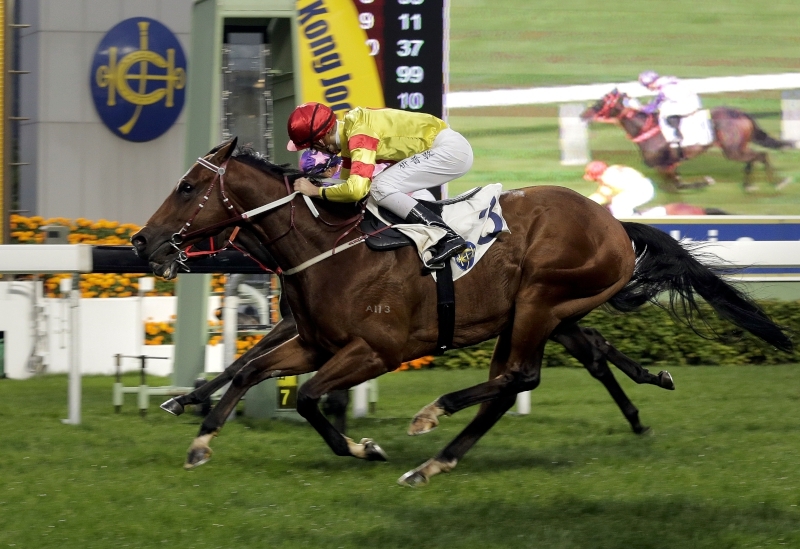 “I’m happy with this horse, he’s by Shamardal and there aren’t many of those around Hong Kong - we’ve had Able Friend and Pakistan Star and only a few others are here at the moment. 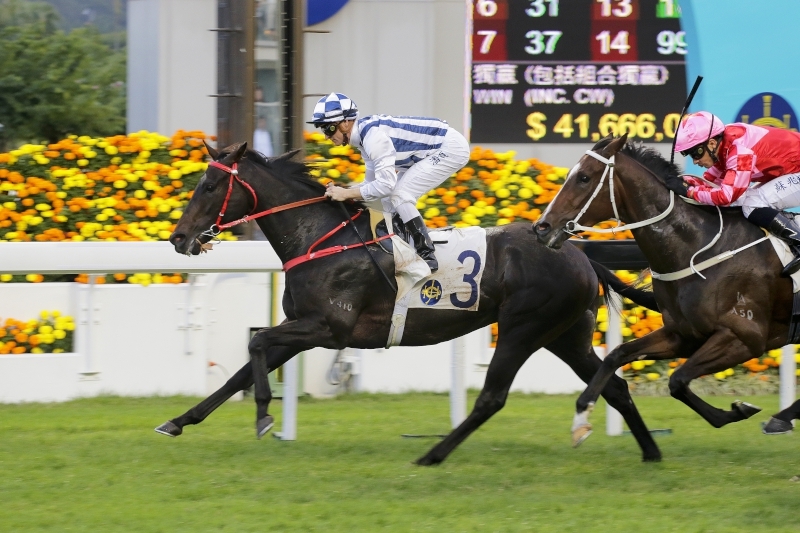 Beauty Way seems set to make his Hong Kong debut on 30 January at Sha Tin’s Chinese New Year fixture. While Beauty Way travelled easily through the trial, the same could not be said of Limitless, named Defrocked when successful for his previous handler Jamie Osborne in last year’s Britannia Stakes at Royal Ascot. 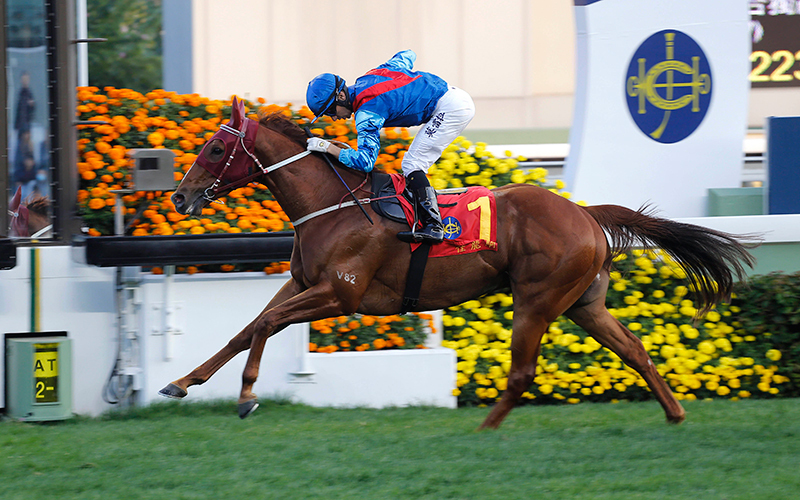 The Lope De Vega gelding was keen at the break and jockey Derek Leung opted for restraint at the rear before switching to the inside and rousting the Peter Ho-trained gelding to press. The bay required two smacks but kept on to run second of the eight triallists. In batch five, all eyes were on the Cruz-trained Derby entrant, Bullish Glory. The Italian G2 winner, fourth in that nation’s Derby last year, had refused to enter the starting gate for a mile trial two weeks ago. And the three trials he had participated in prior to that had not covered the Roderic O’Connor gelding in any glory whatsoever. 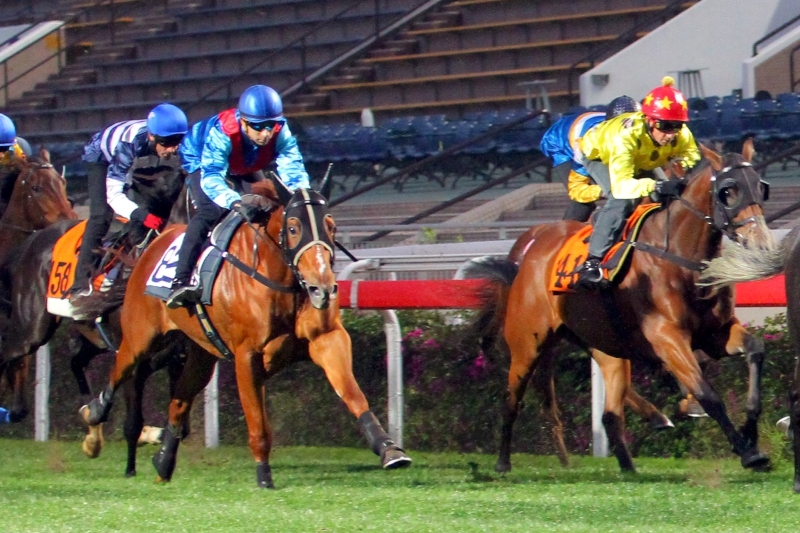 After loading with a hood applied and then relenting to start in batch five, a 1000m trial down the turf straight, the chestnut was again guilty of a slow break but was nonetheless more willing to engage. 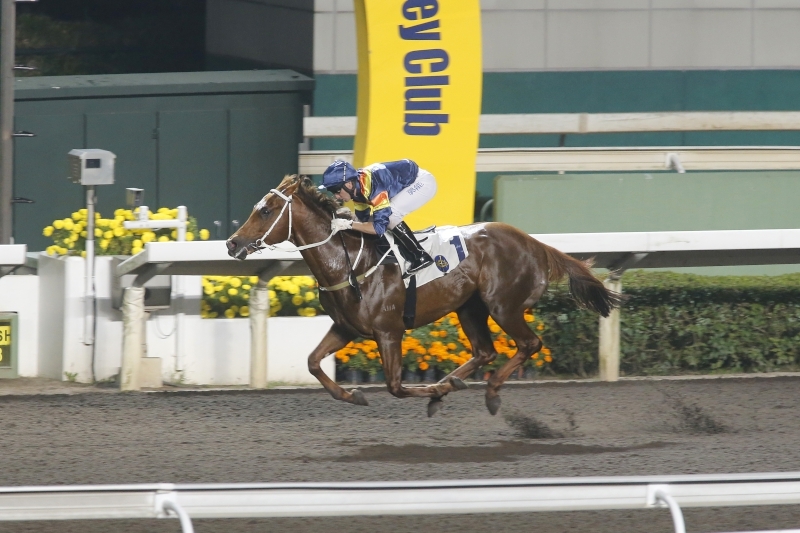 After closing to fifth upon passing the post - two and three quarter lengths behind the lead horse in a time of 1m 0.04s - Bullish Glory received an optimistic appraisal from his handler. “He’s getting better, he’s improving and he’s slowly getting his head right,” Cruz said. “Apparently, when he was first here he wouldn’t get on the transport when they tried to bring him to the stables from quarantine and I’ve been told that he had an attitude when he was in Italy. Now we’re seeing it here! 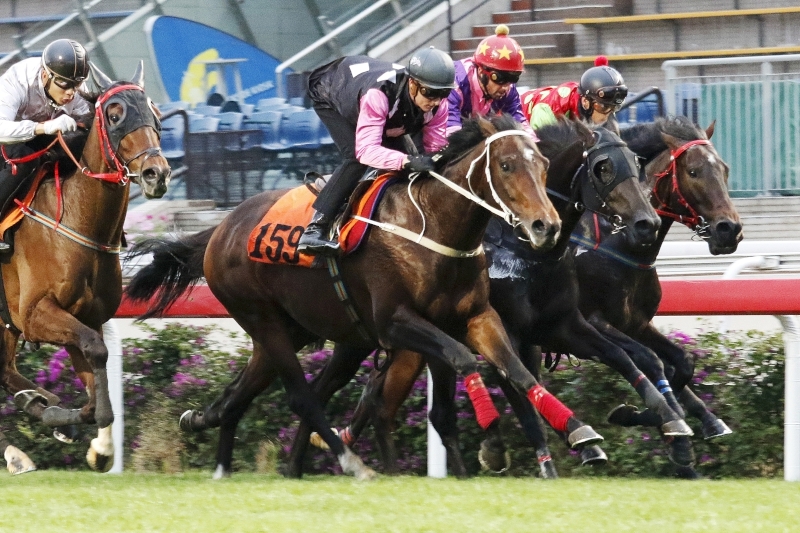 Who Dat Singa out-sped none other than dual G1 LONGINES Hong Kong Sprint (1200m) hero Aerovelocity in batch seven, a 1200m trial on the all-weather track. 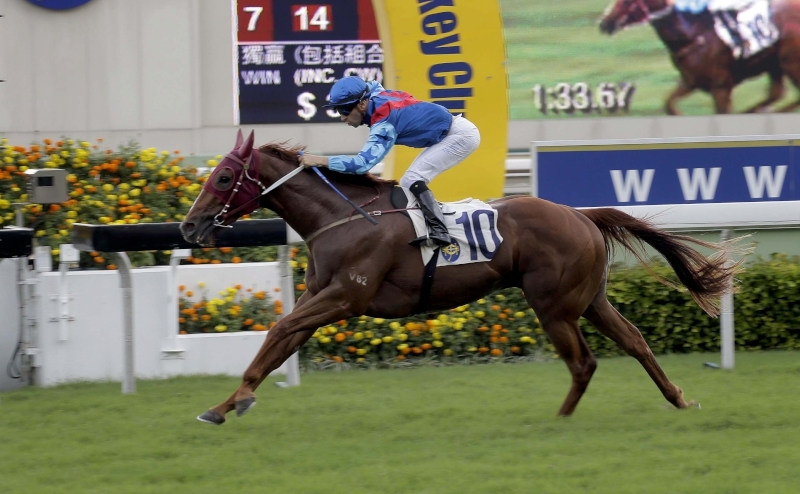 Richard Gibson’s Derby entrant was three lengths clear at one stage and led the field of nine into the home stretch before fading to two and a half lengths third behind the big gun in a time of 1m 11.23s. 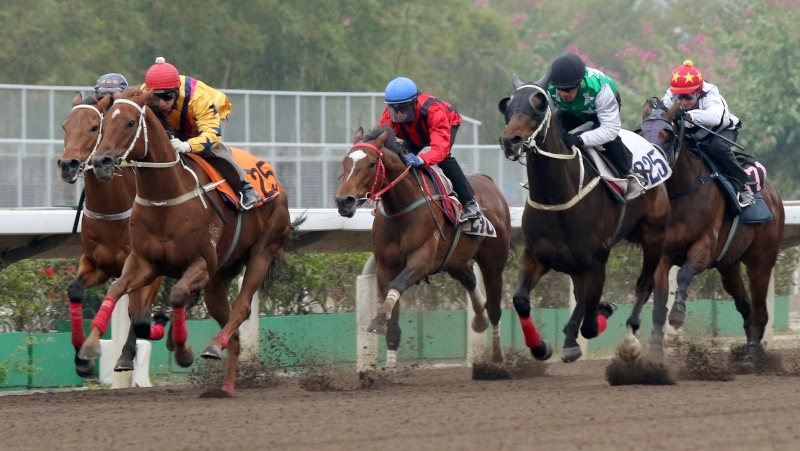 Who Dat Singa (second from left) runs third in a barrier trial today despite Silvestre de Sousa losing his irons at the break. That had not been the plan, however. 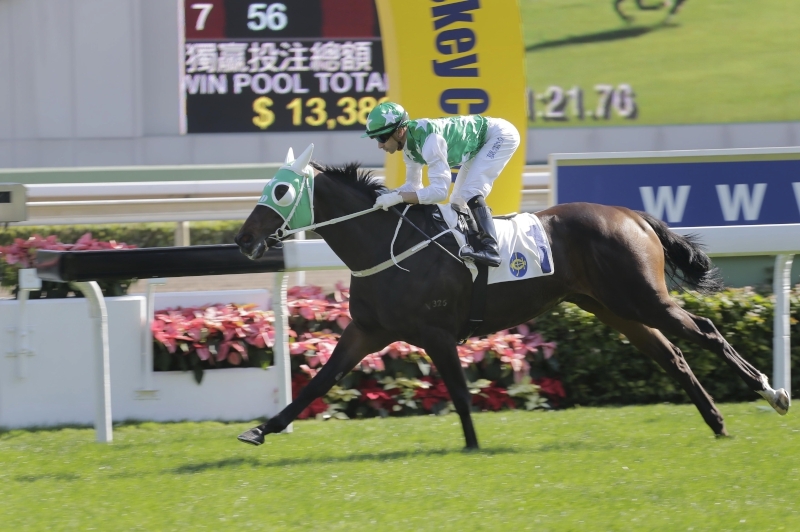 The clue was in jockey Silvestre de Sousa’s uncomfortable seat - bouncing atop the Iffraaj gelding, legs dangling long after losing his irons at the break. The Brazilian did well to guide the former Western Australian galloper home without further mishap; Who Dat Singa showed, despite the unconventional circumstances, that he remains a prospect to watch. Meanwhile, Limitless’s stablemate, Green Energy, galloped fluently and picked up through the final strides of his 1000m turf trial for a closing third behind the Nash Rawiller-ridden Celestial Arrow. Leung’s mount clocked 59.74s.